My program book and ticket for the performance of Mozart's Requiem on October 14, 2012. Photo by Sherry Davis. 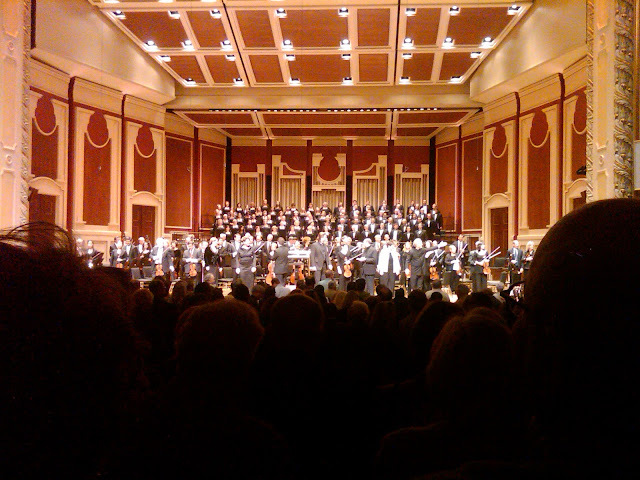 It was a beautiful autumn day in Pittsburgh for the performance of Mozart's Requiem. The theater was abuzz with concert goers for its afternoon matinee. The foyer was full of conversation as well as the sound of a choir (I noticed that they sang Mozart's Ave Verum Corpus before as their last selection), and the Garden Plaza was sprinkled with visitors enjoying its waterfall and a glass of wine. In the foyer, there were large storyboards displaying a timeline of Mozart's biography. Many individuals stopped briefly to read a few interesting facts before taking their seats. Full of visual elements, it even caught the attention of children passing by, even for a brief moment! I was happy to be joined in company with my twin sister, Sheryl, with whom I've been on many great Mozart adventures from the Midwest to Vienna! These tickets were an early birthday gift to us from our parents. Although this was our first experience at Heinz Hall with the Pittsburgh Symphony Orchestra, I had an indirect connection to the institution itself. A few years prior, I was an apprentice for a young artist opera residency with The Chateauville Foundation (Castleton Festival), which was created by Maestro Lorin Maazel, a Pittsburgh native who once served as the symphony's Music Consultant and Music Director, taking them on several international tours. Our view driving into the city. It was a beautiful afternoon for a matinee! Photo by Sherry Davis. Our seats were in the middle center of the orchestra level which provided a good view. After the performance of the new work, Echo of Peace, by Austrian composer Herbert Willi (U.S. premiere) and Beethoven's Violin Concerto in D Major, there was a brief intermission. When we returned to our seats, the entire feeling of the performance space had changed. The lights dimmed. Text then appeared onto two screens flanking the stage, describing the level of consciousness with which people lived with death in the 18th Century. Mozart was no exception. Five of his brothers and sisters died in infancy as well as four out of six of his own children. Death was a constant presence in their lives, something to be understood and accepted, not feared. This beginning segment, so tenderly scripted by Maestro Manfred Honeck, set the tone for what he referred to as "the memorial service for Mozart that should have been." Although there are no extant records of Mozart's funeral, it was common practice for the bells to toll three times and for Gregorian chant to be used in services at St. Stephen's Cathedral. Maestro Honeck incorporated these elements wonderfully into the program. This was to be an unprecedented experience rich in remembrance, drama and autobiography. The storyboard displaying the timeline for Mozart's Final Years (1789-1791) in Heinz Hall. Photo by Sherry Davis. Although the mood was reverential throughout, one could not characterize it as somber, which is the typical fare of Mozart Requiem performances. It was unlike any other performance of this work I'd ever known. Utilizing literature, history, scripture, music and drama, it was actually transformed into performance art. More importantly, for the first time, Mozart's voice could be heard above the proverbial noise: the artistic decisions, the fanfare, the myths, the untouchable mantle of greatness as it is often portrayed. Mozart was empowered to speak directly to his audience, simply as a man and musician. His humanity shone brightly. It seemed almost ordained for his fellow Austrian Catholic, Maestro Honeck, to frame the concert with the greatest sensitivity to Mozart's voice, which was informed and inspired by his own faith. 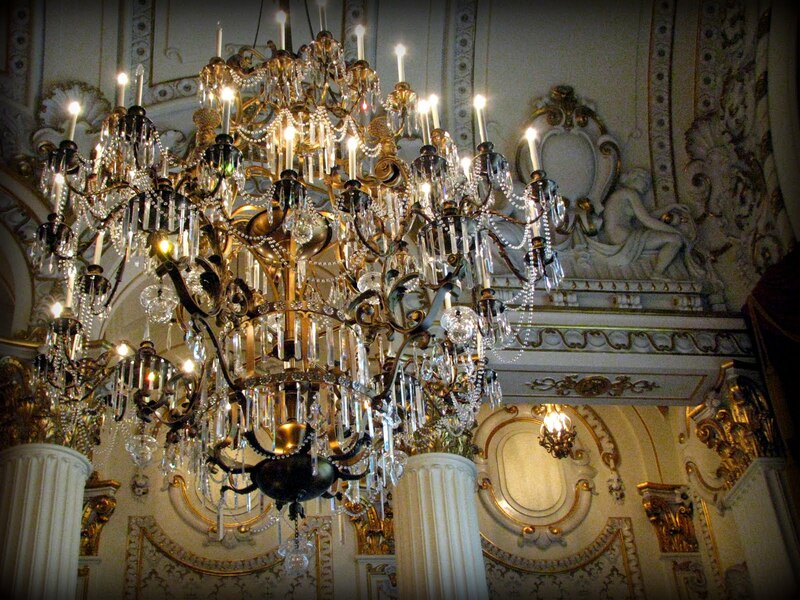 A chandelier in the foyer of Heinz Hall set the scene as a reminder of Mozart's gilded age. Under the spell of the atmospheric set forth by the bell tolls and chant, the lights came up slightly, and from seemingly nowhere, F. Murray Abraham appeared from the right side of the stage. As he walked, he began to read Mozart's letter to his father, dated April 4, 1787, in his distinctively resonant voice. This letter, in performance context, was the most important of the evening. Reflecting Mozart's faith and attitude towards death, Mr. Abraham brought forth the text with the sentiments of optimism and consolation from a son to his gravely ill father. Leopold died the following month after this letter was written, without reuniting with his son. Wolfgang himself died just four years later, at the age of 35, leaving the Requiem unfinished. The following is an excerpt of Mozart's letter (in translation) that was read by Mr. Abraham from the concert program: "Because death (literally) is the true ultimate purpose of our lives, I have for the past few years made myself so well-acquainted with this true, best friend of man that his image not only no longer holds any terror for me, but even gives me great peace and consolation! I thank my God that he has granted me such luck that I have been able to seize the opportunity (you know of what I speak) to come to know death as the key to our true blessedness. I never lay myself to bed without worrying that perhaps (as young as I am), I will not live to see another day - though there isn't a single person from all who know me who could say that I have been morose or doleful in our associations - and for this blessedness I thank my Maker in all my days and wish from my heart the same upon each of my fellow men." Mozart (Tom Hulce) shows his gratitude to Salieri (F. Murray Abraham) in Amadeus. Photo by Warner Bros Pictures, 1984. When Mr. Abraham said the words "God" and "Wolfgang Amadeus Mozart," he was in fact reprising some of the most poignant words from the script of his Academy Award-winning performance in Amadeus (The film was nominated for an unprecedented 53 awards and won 40, including eight Academy awards in 1985). Disguised as the infamous "grey messenger," Abraham's character commissioned the Requiem from Mozart in the film to hasten his death. When Mozart asked for whom the work was to be written, Salieri's reply was: "For a man who deserved a Requiem mass and never got one." This came to mind as ironic given that Maestro Honeck described this concert as "the memorial service for Mozart that should have been." Mr. Abraham is very attuned to Mozart's music and biography which was clear in his informed and passionate delivery. Mozart would have undoubtedly appreciated his homage. An excerpt from Mr. Abraham's interview with the Pittsburgh Post-Gazette: "It is not simply another performance of the Requiem, which would have been OK with me," he says. "But you are talking about being a revelatory experience. Reading his letters to his father means so much to this piece. This awakens people to his humanity. Mozart was a man, a human being who had a need to communicate in addition to having this extraordinary genius." Watch Mr. Abraham's interview with PSO host Jim Cunningham. Mr. Abraham grew up in Pittsburgh, the Steel City, and was from a family of mill workers and coal workers. He wasn't surrounded by music, art and acting until he was in high school. Growing up in a small coal-mining town in Ohio (not far from Pittsburgh) where the arts weren't widely supported and people didn't understand artistic ambition, I can relate to his story. It was the dramatic narrative of Amadeus and the riveting recordings for its soundtrack by Sir Neville Marriner that introduced me to Mozart in fifth grade music class. It ignited a fire in my soul that was to endure. Just as this concert was a homecoming for Mr. Abraham, an opportunity for him to once again connect with Mozart as a performer, it was also a profound experience for me to connect with Mr. Abraham, a legendary actor so significantly bound to a production that inspired my affinity for Mozart. Beyond the facade of his iconic portrayal of Mozart's star-struck and envious rival, I experienced for myself the reveal of his personal affection for the composer through a tender and charismatic narration of the Requiem. After Mr. Abraham read Mozart's letter to his father, two Mozart works were performed, Masonic Funeral Music and Laudate Dominum (O Praise the Lord), which alternated with Gregorian chant. In these pieces, Mozart again communicates death with the same sentiment as expressed in his letter. Mr. Abraham then read poems by Holocaust survivor Nelly Sachs, who won the Nobel Prize in Literature in 1966. This poetry served as a link to a more recent time in history when humanity was at its brightest and darkest. After this grand prelude, it was now time for Mozart's Requiem to emerge from the shadows. As the Introitus (Grant Them Eternal Rest) began, the choir remained seated. It was almost startling, and to great dramatic effect, when they stood up in unison as the trombones entered the score. The scene conveyed pure and unrelenting power, and this would only escalate throughout the evening. Maestro Honeck initially caught my attention when I saw him conduct the Czech Philharmonic Orchestra in the coverage of A Mozart Gala from Prague from the Estates Theatre in 2006. It was a privilege to finally see him conduct in person. Although his interpretation of the Requiem differed from my favorite version by Sir Neville Marriner in regards to phrasing and articulation, his expression, energy and generosity on the podium were a joy to experience, as was his great care towards the music. Prior to the concert, I watched video lectures of Maestro Honeck discussing Mozart's Requiem. I appreciated his meticulous attention to every word, every detail. I admired his vision. During the ending of the Kyrie (Lord Have Mercy), I saw him connect with the timpani player, in the way he discussed in his lecture, to demonstrate these particular beats as the pounding of nails into Christ's wrists. The intensity radiating from the stage was palpable. Watch this excerpt of Maestro Honeck's lecture. After the dramatic ending to the Kyrie, Mr. Abraham proceeded to read another selection from the Book of Revelations. The last sentence he read gave me chills. "They told the mountains and the rocks, Fall on us, and hide us from the face of him who sits on the throne, and from the wrath of the Lamb, for the great day of His wrath has come; and who is able to stand?" The word STAND was by far his loudest and most emphasized word of the evening, and it led directly into the Dies Irae (This Day of Wrath). It was like a frightening moment in a play, or as if I'd been transported to the Commendatore scene in Don Giovanni. This played over and over in my mind long after I left the theater. Only a truly gifted actor of the stage could achieve such an affect on his audience. In the Tuba Mirum, the trombone soloist uniquely stood in the box to the right side of the stage which was a lovely effect. The Requiem then continued, without interruption, through the Lacrimosa (This Day Full of Tears). Mozart only completed the first eight measures of the Lacrimosa and the remainder of the mass was finished by his pupil Franz Süssmayr. Mozart had instructed him, in detail, about how it was to be completed. It's standard for the entire work to be performed in a concert setting, as it was here, but Maestro Honeck honored Mozart's original score in a manner befitting the continuum of epic moments he'd been giving us all evening long. Mr. Abraham proceeded to read from the Book of Revelations after the Lacrimosa. An excerpt: "Death will be no more; neither will there be mourning, nor crying, nor pain, any more. The first things have passed away." I was tearful for the first time that evening. It was a metaphor, both literally and musically, representing the passing of Mozart's life to God and the passing of his music into the hands of another. Mozart's death is often glamorized, but the reality is that he succumbed to a very painful condition, hastened by the primitive medical treatments of his time. 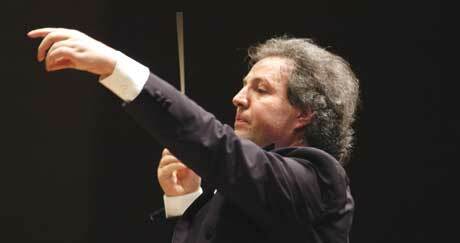 Maestro Manfred Honeck, a Modern-Day Mozartian. Photo by Toshiyuki Urano for Playbill Arts. Following this reading, the remaining parts of the Requiem completed by Süssmayr were appropriately performed. When the Hostias (Sacrifices and Prayers of Praise) ended, the orchestra then began to play the Lacrimosa again. Like most of the audience members around me, I wasn't following along with the program, I was busy absorbing the performance, so this took me by surprise. I glanced at my concert program and noticed that a few others did too. After leading the orchestra in a mighty crescendo, Maestro Honeck halted them suddenly, dramatically, at the end of the eight bars, where Mozart had stopped composing. A shudder, like an inaudible gasp, swept over the audience. Everyone felt it. As surely as our hearts were breaking, the Ave Verum Corpus began, and the humanity of this piece restored us. It suspended our grief in reference to a happier time. It was written by Mozart as a gift to Anton Stoll, a teacher and choir director, who looked after his wife Constanze at the spa in Baden when she was ill during pregnancy. It was completed in the summer of 1791, shortly before their son Franz Xaver was born. The Ave Verum Corpus ended and silence came over the theater. Nobody moved, coughed or shifted, as they had earlier in the performance. We marveled in that great silence. Nothing else seemed to exist in that moment. Minutes later, the lights slowly dimmed. This was in contrast to the lights emerging brightly in the beginning when Mr. Abraham began to read Mozart's letter. I understood this to be symbolic of illuminating and extinguishing of the light of Mozart's life. Almost as soon as the lights dimmed, they were brought up again, and to thunderous applause. Maestro Honeck turned to address his audience with a smile and gracious bow. Mr. Abraham and the artistic personnel returned to the stage, time and time again, for their unceasing ovation. Our view of Maestro Honeck, Mr. Abraham and artists receiving a well-deserved standing ovation. Photo by Sheryl Davis. Had I just attended a funeral, a drama, a concert? All of these? It was exciting, sad, joyful and terrifying. It is this spectrum of emotion which represents the definitive shared human experience that is Mozart. This is the role of great art, and it is willing to move with us through time if we only make room for it. The masterful ingredients are already in place with its timeless aesthetic and thematic universality. It is non-discriminating, as God is non-discriminating. Regardless of one's personal background, the music provides for humankind's innate desire to be transported, to be elevated above the circumstantial, to feel a part of something larger than oneself, of a collective consciousness, a universal brother/sisterhood. The genius of Mozart has bequeathed to us an oeuvre without end in its capacity to impress upon the listener the meaning of beneficence, true concord and new crowned hope, all of which so delicately define the grandeur and purposeful depths of his music. Equally extraordinary is the great responsibility with which it comes; the responsibility to regard it with supreme care and guardianship. The brilliance of Maestro Honeck's presentation of the Requiem as performance art is exemplary of this responsibility. He allowed the authenticity of Mozart's voice (God's voice through the composition of sacred music) to lead the way in channeling our connection through blessedness and humanity. A Modern-Day Mozartian, indeed. It's about understanding that performance is preservation, not only of the music itself, but of the ideal existence to which we aspire through the artform. An absolutely eloquent depiction! I felt as if I was in the theater with you! You are an amazing writer. Enjoy this post I was swept away for the moment. Thank you, Sherry! It was my hope and intention to bring my readers into the experience by communicating the emotional and psychological in as much detail as possible. I'm happy to hear that I've succeeded so far with you! :) It took me awhile to absorb everything and decide how I would approach it. In the end, a traditional journalistic review would just never do! I would have been in tears from the get-go... WOW! You really did succeed in describing it all very vividly and I can only hope to be able to experience all of that some day. BRAVO! Thank you, Monica! I was so encapsulated by the presentation that I was too busy for tears. :) I'll look forward to reading about your experience of this work when you have the opportunity to attend a concert! NICE!!!!! Great article Sherry! When I heard Mozart for the first time live, boy what a feeling! It was as if I felt his spirit there also. I'm now getting goosebumps as I write this, thinking about that time. It was truly profound. It would have been nice if you were able to meet and interview Mr. Abraham. It would had been quite a delight! Jose. Thank you for sharing your personal history with the work, Jose. As Mr. Abraham said in his interview with the PSO, Mozart's music is special in that it feels like he's always writing for YOU. This is why listening to his music has been such a deeply personal experience for individuals around the world since his lifetime.